Hanging out at a night club can be a lot of fun. But when the evening is over and it comes to heading to the vehicle to go home, it can be a bit more challenging. Parking lots are dark and you never know who might be hanging out in the shadows. For this reason, it’s a good idea to take some precautions to keep safe. 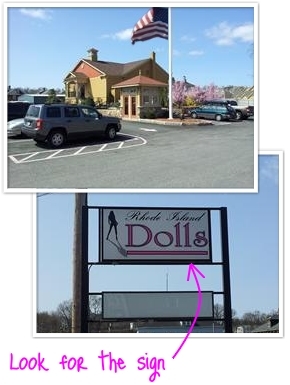 Rhode Island Dolls management place your safety and security above all else. We have security cameras that watch our parking lot and the vehicles coming and going. It is a good idea to check for lights and park your car below or near one of them. This way your car is visible and you will be able to see if there is any reason why you should not get into your car. Another consideration in a parking lot is that you want to be careful parking near trees and bushes. It may be best to park in the middle of a lot away from any landscaping as you never know who might be hiding in the trees or bushes waiting for you. Not only do you have to consider your personal safety but you have to consider the safety of your vehicle. One of the best things you can do to keep your car safe is remove any valuables that may be in the car and leave them at home. If for some reason there is something valuable that you have to leave in your car, it is best to put it in a safe spot before you leave home or arrive at the club. Someone might be watching the activity in the parking lot and will see you hiding a valuable and then break in when you are gone. While this tip may seem rather obvious, there are many people who do not follow it. Lock the doors and roll up any windows before you leave your car. Many people do not bother locking their doors and then wonder why their stereo was stolen. You may not have insurance either if you forgot to lock the doors. It may not be a bad idea to install a car alarm but if you cannot afford one, purchase a few stickers that say the car is alarmed and maybe a light or two to give the illusion. With a bit of common sense and making smart decisions, it is possible to keep you and your car safe while you are at the nightclub.